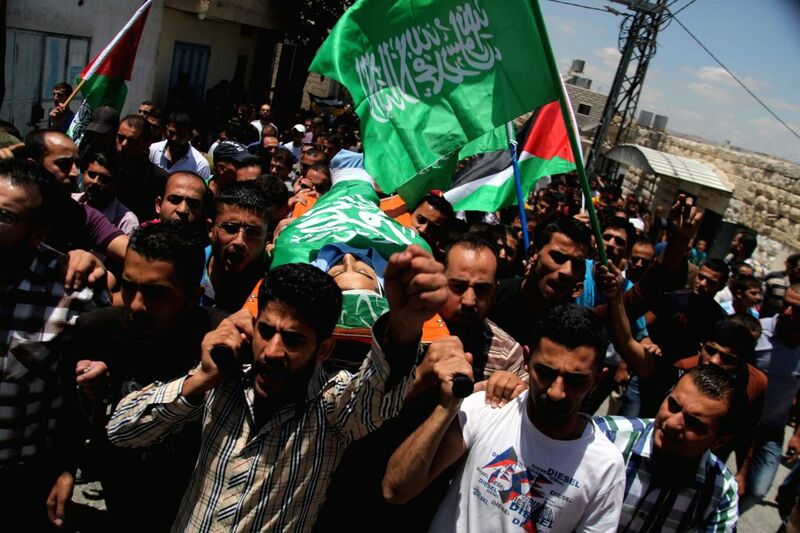 HEBRON, July 14, 2014 - Palestinians carry the body of Monir Badareen, 22, during his funeral in the West Bank city of Hebron, on July 14, 2014. The Palestinian young man was killed on Monday by Israeli fire during confrontations in the West Bank City of Hebron, medical sources said. 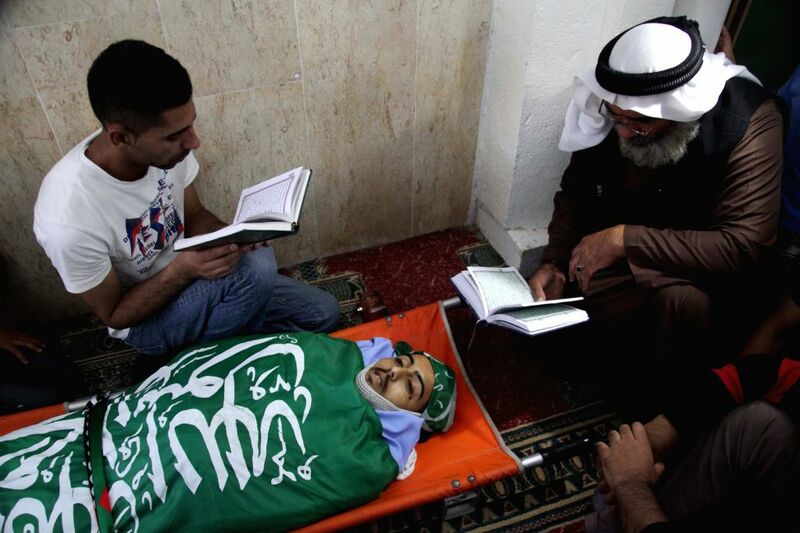 Palestinians read holy Quran over the body of Monir Badareen, 22, during his funeral in the West Bank city of Hebron, on July 14, 2014.